High security standards. Our online banking platform is provided by our partner, Central 1 Credit Union. Central 1 follows ISO 27001, an international standard for Information Security Management Systems. Protective firewalls. Our firewalls prevent unauthorized access to our internal systems. Data coming to us from your computer via the internet goes through a series of safety checkpoints. Only authorized messages and transactions enter our computer systems. Authentication. Your accounts can only be accessed by providing the correct login User ID and Password/Personal Access Code (PAC), which only you know. Automatic logout. Online banking sessions automatically time-out after 15 minutes of inactivity, then you will be required to sign in again. While we take strong measures to protect your information, we recommend you take the following important safeguards to keep your information safe. Avoid Wi-Fi and public computers. If required to bank online away from your secure home network, use a cellular network instead of public Wi-Fi. Avoid public computers (internet cafes, libraries, hotels, etc.). Hackers can access public computers and Wi-Fi to store keystrokes and record personal information without your knowledge. Keep software updated. Install and use a quality anti-virus program—and upgrade regularly. Keep your operating system, web browser, security features and applications up-to-date. Browse safely. Only visit reputable sites. If you visit a website that displays pop-ups, we recommend you close and restart your browser before proceeding to online banking. Always logout. Never leave your PC unattended while using our services. Always exit online banking using the logout button. Close your browser if you step away from your computer. Your internet browser may retain information you entered in the login screen and elsewhere until you exit the browser. Clear your cache. Secure or erase files stored on your computer by clearing your cache in your internet browser regularly. Most internet browsers store information in non-protected (unencrypted) files to improve performance. The files remain until you clear your cache. Keep it to yourself. Do not share your Password/PAC with anyone. Never disclose your Password/PAC in a voicemail, email or over the phone. Make it hard to guess. Choose a Password/PAC that is easy for you to remember but difficult for others to guess. Use a mix of numbers, symbols, upper and lower case letters for your password. Don’t save it. Never automatically save your password/PAC to your internet browser. Do not keep your password/PAC in obvious places, such as sticky notes around your monitor or under your keyboard. Update regularly. Ensure that you change your password/PAC on a regular basis—at least every 90 days. Direct Alerts automatically warn you of certain changes to your Online Banking account. As an additional layer of security, receive notifications via text message or email which will prompt you to inform us of any suspicious activity so as we can investigate and take immediate action. Once you have logged in, navigate to the “Messages and Alerts” area on the left hand side menu of your main page. Click on the “Manage Alerts” subcategory within that area. Choose any of the available alerts from the list that you would like to activate and follow the prompt to set up. Be suspicious of unsolicited phone calls or emails. 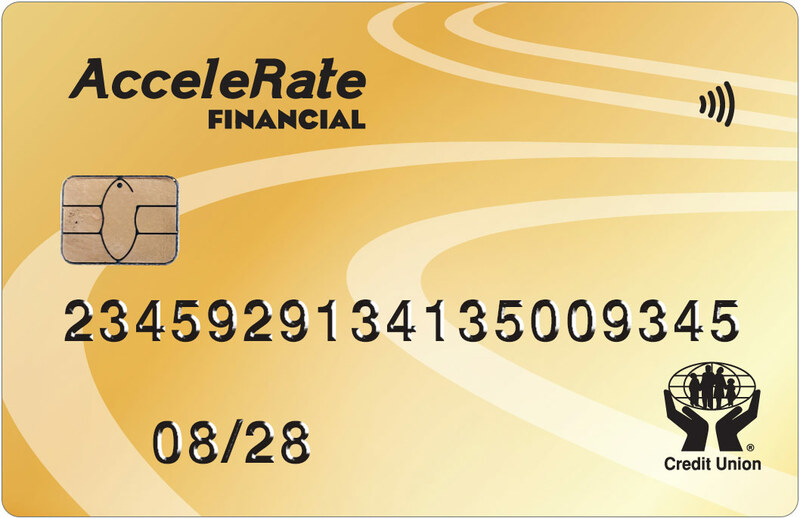 AcceleRate Financial will never ask you for confidential information by way of unsolicited phone calls or email. Be alert. Phishing e-mails are designed to look legitimate often including an organization’s logo and branding. Look closer. Hold your mouse over hyperlinks and watch which address comes up in your browser’s status bar. Spelling mistakes and grammar errors are another dead giveaway. Do your research. Visit www.antifraudcentre.ca for news and alerts about current scams. If you don’t find anything listed, don’t be afraid to call the organization directly and ask. If you receive an email from AcceleRate Financial that looks suspicious, please contact us immediately. For more information on how you can stay cyber-safe, visit the Government of Canada’s website at www.getcybersafe.gc.ca.